Impaired cerebrovascular physiology is implicated in many brain diseases, such as dementia and stroke, but current physiological MRI approaches do not play the expected important supportive role in clinical diagnosis and disease management. This can be attributed to: 1) lack of consensus on MR perfusion sequences; 2) insufficient validation of quantitative values; 3) a focus on measuring a single parameter, such as cerebral blood flow, neglecting the fundamental multi-parametric nature of cerebral physiology; 4) measuring the hemodynamic status in a resting condition instead of monitoring brain perfusion while being challenged by e.g. hypercapnia; 5) time-consuming sequences. In this seminar new developments in arterial spin labeling MRI and high-resolution 7 Tesla MR angiography will be presented that can alleviate these limitations. Applications of these techniques in patient studies will be discussed. Presented examples will include ASL in acute stroke, reactivity studies, cerebral flow territory mapping, and the integration of the measurement of multiple hemodynamic parameters into a single sequence. Matthias van Osch studied applied physics at the University of Twente from 1991 – 1997. Subsequently, he moved to the Image Sciences Institute (ISI) of the UMC Utrecht for his PhD-research on bolus-tracking perfusion MRI (DSC-MRI). His main focus was to improve the absolute quantification of the technique, especially by improved arterial input function measurements. 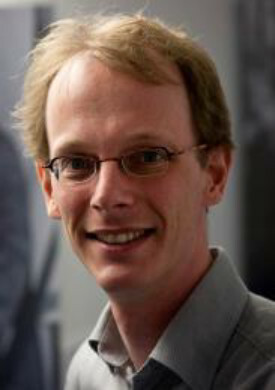 In 2005 he moved to the Leiden University Medical Center, where he was promoted to associate professor in 2007. In 2006 and 2007 he was technical manager of the installation of a whole body, human 7Tesla MRI scanner. His research focus includes all perfusion MRI techniques, 7 Tesla high resolution anatomical imaging and clinical applications of 7 Tesla MRI. In 2005 he was awarded a VENI grant, in 2010 and 2012 joint STW grants with UMC Utrecht, and in 2014 a ZonMW Memorabel grant. He is actively involved in (inter)national organizations, such as the International Society of Magnetic Resonance in Medicine and the European Society of Magnetic Resonance in Medicine and Biology.